RK30xx annoncé, Arnova tablettes G3 à venir cet été? I’m struggling to get my Arnova 10 G2 into flashing mode using this method – are there any conditions that are not mentioned above? Do I need to have the mains charger in, or be connected to my PC by USB while I’m pressing the button and inserting the paperclip? Hola. He visto que mucha gente no logra el procedimiento por algun u otro asunto. Personalmente estoy tratando con una 9g2. El problema, era EL PUERTO USB DE LA PC. Si no les funciona la deteccion con rockchip del dispositivo, prueben cambiando el usb de la pc. Yo realizaba todo el procedimiento y al final, el problema era ese. Me sirvieron mucho los comentarios, pero por las dudas les aporto este detalle. Tengo 3 usb en la pc y solo en 1 funcionó. hi, after flashing my pipo m9 pro the touchscreen doesn’t respond. i tried with 3 ROMs diferents and is the same. I see the home screen, the launcher but any place i touch doesn’t works. any suggestions? please i need a solution quickly. Worked just as advertised on my old 10G2. I do the troubleshooting way but why my tab cant recognize to my computer and laptop? J’ai réinitialisé ma 7f G3 avec la rom kasty-arn7fg3-40-042 et maintenant le touch pad ne marche plus. J’ai réinstallé la rom du site d’arnova et ça ne marche pas mieux. Qui sait où je pourrais trouver un backup de la rom originale ? Who knows where I can find original rom backup ? Merci ça a marché nikel sur une arnova 9g3, OS utilisé, windows 7 pro 64 bits. J’ai eu a activer les ports manuellement comme indiqué. NE PAS OUBLIER DE METTRE LA TABLETTE EN MODE DEBUGAGE AVANT! (dans les parametres). My son’s ChildPad wasn’t worked since last year. I never got round to trying to fix it until today. I followed the instructions above and it’s back to normal. There were no issues at all. 2. Use a paper clip to hit the reset button until there’s an audible beep. It will look for a driver which is in the ‘RockusbDriver’ folder. Buenas, he completado con exito la instalacion en mi Arnova 8 g2, pero ahora el tactil no funciona, y no explica nada sobre que hacer en el post. I CAN’T INSTALL THE DRIVER. I TRY ON WINDOWS 7, XP, 32 AND 64 BITS, BUT ALWAYS SHOWS IN THE DEVICE MANAGER A DEVICE CALLES M9 BUT WITH A « ? » ON IT. WHEN I BROWSE FOR THE DRIVER THE SPECIFIC FOLDER IT SEEMS AS ISN’T FOUND BECAUSE THE DEVICE IS STILL UNRECOGNIZED. I’M TRYING TO DO THIS SO THEN I CAN ROOT THE TABLET. I’VE A PIPO M9 PRO ONE. THANKS A LOT FOR A QUICK ANSWER. thank you for this instruction!!! !my ARNOVA 7 G2 is successfully restored!! !more power!!!! Updated my Arnova 9 G3 perfectly on Windows 7 SP1 64bit. As I expected, the option to install a driver did not show up, only a warning that the device could not be identified. I simply brought up Device Manager and manually installed the driver for the newly discovered « Unknown Device. » Once installed, the green « block » appeared in the flashing tool and I loaded the firmware and used the Restore button to be safe. Once the copy completed, the tablet rebooted, initialized itself, and brought me to the Startup Wizard. I selected to NOT install the third-party apps to save some space on the tablet. Everything seems to work just fine — Play Store updated itself, Chome installed, Google Sync is working, etc. I’ve had about 50 tries to get my 9 G2 into recovery mode. None work. I’ve tried all 5 second increments of time for holding in reset and the chosen key/keys between 5 seconds and 30 seconds. NONE result in a dark screen and a detection by Windows 7 SP1. I’ve also tried just copying the update.img file to the root of the Arnova but the device says it is not valid and offers to delete it. OK. I have little hair left to tear out. Is there some sinclair like hardware picnic going on that means there are variant builds? Are the key recombination with reset essentially random? Is there anywhere a simple update.img that I can use from the root without any need for rockchip? Thanks for any help anyone our there can give! After many hours, I have found a solution to my flashing problem with Pipo Max M6: first the buttons to press are ESC and Volume Up then insert USB then press power button for 5 secs (or something like that) BUT Windows 8 or the tablet doesn’t like USB 3.0 because it doesn’t get identified, so plug in USB 2.0 Voila! It works! THIS REALLY HELPED! I was getting my Arnova 9G2 rebooting after trying the flash mode button+reset press which prevented this from working. As suggested here by bloatedbobcat, on the 9G2 at least, (having already connected by USB to PC) you need to first press and hold reset, then press menu and hold both buttons for (5-10 secs?) a while, then release reset and finally release menu. The result is the screen on tablet stays blank i.e. no booting procedure, and the PC then detects the device – after than you can override any auto-driver which is installed as set out above. I did a restore rather than upgrade as didn’t have any need to keep data – this worked perfectly, and now have tablet working much faster, with screen touch much more responsive and most importantly have Google Play! Just unbricked a 9 g2 needed to use restore rather than update before it would run again. Thank you for a great support base. Win 7pro proved a bit tricky had to switch off auto driver and then shut down and restart before I could get the RK driver installed. I can’t seem to get my tablet to flash I press the reset and the volume button as directed but all that happens is it turns on and the name flashes then loads as normal. I have never done this before so no doubt doing something wrong. Hi, I have an Arnova 10 g2 philly edition tablet, and I followed the flashing process and everything. Now my tablet won’t come on, charge, or connect to computer. I have to use a different power adapter (laptop) to notice that the only thing that occurs is the light flickering in split seconds. I installed the correct custom firmware. All I wanted to do was update the firmware. Please help me!!!!!!! During flashing process an error occured (Check Chip Fail). Alright, so i have the Arnova 9 g3 and it gave me a few problems at first when trying to set up the firmware. even then, i still had problems so i switched out the USB cable i was using (the one it came with) and tried a different one. After that, everything went well and i love the tablet now! also, kudos to you dudes who set this stuff up. the tablet is mad lame the way it comes. I am a few years out on doing this but trying to upgrade the ole 7 g2, doing it on an old win xp laptop installed the drivers fine without problem but it does not come up with RK29 driver it installs it as rockusb device??? is this correct?? 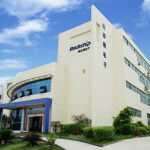 I open rockchip tool v 1.7 and no devices connected?? have I done something wrong? RK3188 cube u30gt2, can not install drivers on win 7 ultimate. When in flash mode can not detect device. If switch off dev options and conect the tab PC mounts it as usb device, but later no device.Pls help. I could not get the driver to install. I first had to connect to the device in normal mode to install a shared part of the driver. After that I could install the driver with the workaround as described. Then, with Win7-64, I had to search the « new device » through Control Panel->System->Device Manager and force the installation of a new driver. It only worked with the « Restore » function of the Rockchip Batch Tool (not the « Update » function). Now, with Android 4, Google apps, etc, it is a brand new tablet, incredibly faster and improved than the older Android 2.3 version. Thank You. The xp recognize 2 arnova disks, but doesn´t load the xp drivers, what can i do? hallo, ich habe ein archos arnova 7i g3 und wollte gerne wissen, welches dieser rockchip batch- tools für mein gerät das richtige ist. ich habe einen windows7 32bit laptop.ich würde mich riesig freuen, wenn mir jemand helfen könnte. danke schon mal. kasty-ez_arn10g2-40-0463-2G with absolutely no fuss or issues at all….everything is working as it should..Cheers guys yours is a fantastically helpfull website…keep up the good work. Hey can you please help me. I have the same device and I was trying to flash the same firmware, but now my tablet won’t work. hi there 🙂 thankyou so much with this guide.. i installed the firmware no sweat ^__^.. but getting to flashmode make me reall pizz XD i tried to many time plugin/replugin my usb connector till i install RK29 but it works for me.. This is my first post, but I had similar issues with my pc not detecting my device and as daft as it sounds I discovered I hadn’t actually put my device in to Flashing mode as I read you had to press reset, press +, release + and release reset, what you should do is press reset, press +, release reset and then release +. i tried everythiing, i just cant finally install this driveer oh my gooood!! Hello 32-bit = x86 and 64-bit=x64. I cant get it to work on arnova 7b G3. Any help much appreciated. Impossible d’installer le pilote rockchip, windows ne le trouve pas alors que je spécifie bien le chemin de destination. J’ai testé plusieurs drivers mais aucun n’est reconnu par windows, de l’aide svp. 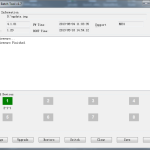 La tablette n’est pas reconnue dans rockchip batchtool, aucune couleur d’affichée. J’ai tenté les désinstallations, les installations manuelles. Je pense bien être en mode recovery, l’écran est noir. Problème résolu, il faut s’assurer d’être branché sur un port usb 2.0 pour que le pilote soit détecté opur être installé, rien à voir avec la combinaison de boutons sur la tablette. Oubliez votre port usb 3.0 et passez en usb 2.0. My old tablet 7 G2 found its youth. Google play store available blind! It won’t come up automatically and I have Windows 8. Help! Ive installed ics on my arnova 9g2, using Rockchip batch v1.5. However, the internal storage space is now only 504mb, which quickly fills up and then slows down the tablet to a crawl. The remaining SD space is reported as Arnova 9g2i and is 5.97gb. Is it possible to recover this partition? Ive searched the forum, appears others have had similar problems but Ive not seen a fix. Is this a limitation you have to put up with ICS?? Just updated my Arnova 9 G2 and like you my storage is now 504mb….Did you ever find out why this has happened? Very VERY greatful. You guys have saved me, I had it bricked but no more thanks to this.. Thanks. I have a Lazer 10.1 root with arnova 10 G2 firmware and know i Cant turn on it so I try to isntall again the firmware but is puts Download firmware fail and I try to restored but it put the same , what else can i do? I have tried it with my arnova 10b g3, i succesfully put it in recovery mode but windows 7 , insists its an ARN10BG3, instead of a RK29 chip, removing drivers and manually installing drivers doesn’t work, it keeps saying its not the appropriate driver and i should download it from the devices website. any idea what to do ? i would like to install this firmware because the 500 mb app space is too small for the apps. if there is a way to only increase the app space i would like to know pls. Perfecto! Seguí el procedimiento en Arnova 7d G3 desde Win XP. Todo ok! Does it also works for 7c G2? No it doesn’t. The Arnova 7cG2 is based on a different architecture (Qualcomm processor). Exist another posibility for upgrade? I have a vista laptop and I had to install the driver manually. COMO PUDISTES PONERLO EN MODO RECOVERY?????? On the arnova 9g2 It completed successfully after putting it into recovery by holding power and menu buttons together dont touch the reset. Also it corrupted sd card on the arnova, fixed by formatting the sd card and doing the restore on the rockchip program! yipee!! I have ready installed on my arnova 7 g2 and work fine with the manufacturer firmware . Having read the entire thread on how to do it, i realised that you have only supported the users with Windows 7! CPU Allwinner F30-Cortex A8, processor 1.2-1.5GHz Multi Core, 512M memory, 4G storage,Android 4.0, 7 inch Five point cap-touch tablet pc and how can i put it in flashing mode or the firmware installation. Sorry, it won’t work on Allwinner based tablets, it’s specific for Rockchip ones only. On Arnova 9 G2I its running well. while upgrading its showing the android-icon. but the drivers with rockchip ver 1.5 dont work for me, so i tried the version 1.4 with win64-driver for my w7-notebook, so install and verify runs without problems. I’m getting incredibly frustrated with this. I’m trying to put it into recovery mode but it just keeps resetting itself and then giving me the normal usb option. After a good hour or so trying to figure this out, i give up. Any suggestions? first, i got the same problem. then i start the factory-reset, a menu item in category « options » on the tablet. thats all ; dont hesitate, the tablet screen still leaves dark. first af all thumbs up for this great website, I have started to flash my daughters Childpad but find myself getting stuck installing the Rockchip drivers. I am an experienced PC user and unfortunately I cannot resolve this. I am using W7 Pro OEM on a 64-bit machine and explorer.exe finds the AN7DG3-CP and I can navigate to it using the device manager, rightclick on properties, locate the 64-bit drivers and click on ‘install’. However, it tells me it does not install the drivers as it cant see any. (see pics below). Disabling the OS to look for drivers automatically has been done. The mistake I made was to set the device to recoverymode and then looking it up in the device manager. I then found the AN7DG3-CP and after pressing the resetbutton (paperclip) the device became an ‘unknown device’ and the drivers were easy to install. hi i have a same probleme with my arnova 8g2 , when i want calibrate its failed , and i can’t use the screen !!!! some on have a solution ? i tried all the stuffs to reset !! but i think i dont know exactly what i do , please someone help me ! a have a problem, after this firmware upgrade my Arnova 9G2 tablet freeze and stuck on ARNOVA logo, nothing else is working, trying to reset, but no reaction. can someone please help me. what should i do? I was able to install Google Market on my Arnova 10b g3 with out root nor rom. All I did was found a google market 3.4.4 apk and down loaded it to a folder on my laptop then I unzip the folder. After that I took my sd card out the tablet and moved the unzip folders to the sd card. Then place the sd card back into my Arnova 10b G3 tablet and power the tablet back on. Then I use a file manager app on my tablet and located the files on the sd card and click and loaded them one by one on to the tablet. Once I did that it loaded Google Play (Market) on my tablet with out any problems and I was able to key my user name and password in and down load many working apps. Know I have that part covered but I can’t seem to be able to move apps to sd card to free up memory on the tablet, has anyone had any luck with this? Seem like the stock software want let me do it. first sorry for my bad english. i have buyed the Childpad 4GB capazitive for my son, but he will the playstore and the facebook app on it..so it doesnt work and i have googled and found this site. So far so good i have installed the right version of the update.img for caoazitve screen. i said to me: don’t worry, give the Method 2 a try with the rockwell batch tool and make a fully flash from deep. Installing the drivers for the tablet was successful and i have load the image. no restart, the device iss dead, guess it is bricked..
all versions that i have found will not work..even original from arnova still not let me install…evrytime the Program said: successfully flashed..but the tablet get still dead…. if i push the Powerbutton für 20 sec or so, the Screen will start with the Arnova Logo and then it will reboot and i see the Android-Man lying down on floor with stomage open with a big red triangle….nothing more…it doesnt boot..
versuch mal das Netzteil anzuschließen und ihn an das USB Port zu stecken. Dann ging es bei mir auch erst richtig weiter. Nun läuft es spitze. Just wanted to confirm that it DOES WORK for my Archos 97 Carbon. Flashed on my WinXP64, with Win7 64bit drivers for Rockchip Flashing tool. Everything seem to work so far. So, don’t hesitate to flash your tablet. I have spent 2 hours messing around with this. Have no idea what I’m doing, but can read instructions. I have 7G2, windows 7 32 bit. when i try to update driver, all i get is 64 bit and 86 something. I am determined to do this, but as I say, have no real ideas. Thanks a lot! Worked for my Arnova 8 G2 4Go (yes 4Go! ), was desperate to get rid of this awful AppLibs store, nevermind for the Android downgrade! Thanks again and best regards! Thanks anyway and keep it up! Hello, I need your HELP!!! I’m trying to flash my kid’s Chilpad but I’m having problems. My arnova 10 g2 freezes on arnova logo when you turn it on, i ugraded it.. i reseted it.. noting seems to be helping with this issue.. Anyone any ideas? have the same problem on arnova 9g2. still waiting for help. I’ve been trying to add/select the custom driver on Windows 7 X86 when booting the device (Archos Arnova 7 G2) in recovery mode but it won’t let me update the driver. Are there any tips for Windows 7 or has anyone overcome this? just followed instuctions everything seem to up loaded on to my arnova 7 g2i but now the the tablet wont start up any help ? I am trying to update drivers on my Arnova 9 G2 (which already has 4.0 ICS with Google Play) but what do I do when it says drivers up to date and then the device does not show on Rockchip tool ?? Sorry I mean it already has ICS witout Google Play !! I am unable toinstall the driver on top a Windows Seven French. The tablet is Arnova 7 G2. – I pin the reset hole and push and maintain the on/off button during a few seconds. Win7 beeps as new hardware is located. I release the reset button and then the tablet restart but the rockship detects nothing. i have try many times to put mu ARNOVA 7G2 into the RECOVERY MODE but NOT SUCCESS. can you tell me detail how to get my device to the recovery mode? On the 10G2 (not sure if applies to other models), I have determined the following method to be the *actual* process to reset the device. Push and hold Volume Up. Insert paperclip while holding the volume up button. You do not have to do the paperclip for more than one second, but make sure you are still holding down the volume up button when you remove the paperclip one second later. Then, let go of the volume up button. The screen should be black. Voila, you are ready to flash with your choice of flashing tool (in my case, 10G2, Rockchip 1.5 for Morka or original Arnova firmware, or RK_Android 1.29 for Kasty advanced firmware). Now you can flash whatever firmware you like. If there is a problem with formatting/flashing, you will automatically boot into recovery mode with various options. Make sure to erase first if in RK_Android, or use Restore with Rockchip. Recovery mode should only be needed if something went wrong, and should load automatically, in my understanding. Unfortunately for me, after a successful Kasty upgrade with RK_Android, I bumped the device ever so slightly against a wall, and now the screen is corrupted. Sigh. But hope this advice helps someone, I found it someone difficult to find all the required information in one place for exactly how to do this. I spent 5 tries removing paperclip and volume+ button together, not working, before I figured out the process above. Good luck, and I will try and check back here if you have further questions or need more help. Also, don’t forget to manually install the drivers once you enter into recovery mode following the directions already provided in the guide. I have the same problem computr says usb….attached malfunctioned………!! How did you sort it out? If you mean Arnova 9 G2 To enter recovery mode press reset then press MENU make sure is MENU because I was confused like any one else I was pressing POWER button THEN you will see Blank screen with red light after that you should see unknown device if windows 7,do this If you have 32bit windows installed? Than x86 driver is the right one. If you use 64bit windows, you have to use the 64bit driver. Worked for me perfect now I m thinking of going to nexus but I wanna see which one is best. im running the arnova 7 G2i running ics,trying to flash the Kasty custom firmware download (version 0.43) so i can use google play. problem im having is getting it into recovery/flash mode (following the older arnova 7 G2 instructions),ive tryed with it on and off,plugged into the pc and unplugged. i have arnova 7b g3 and it stuck on ARNOVA and it is not move on is this Rockchip Flasher tool can help me and how ? my arnova does not want to go on, at all? 7cG2, If I press the power button it flashes, but nothing happens? my computer does net even pick up on it,when plugged in, and the reset button does not work!! can anyone help? Did you ever get this resolved? I am having this problem now as well. could you flash this straight from usb? can you flash morkamod using this? Yes you can, as for any firmware using a single update.img firmware image file. Hi again all. Does anyone know if its possible to enable password protection on the lock screen for the Arnova 7BG Gingerbread.. Try to flash again the firmware using Restore rather than Upgrade button in Rockchip tool. i manage to restore it but doesn’t work..
after several times of upgrading and restore finally im done..
now im thingking of upgrading again to nexus…. but im wondering whats on nexus…. Does anyone else have this problem? Am I doing something wrong? Which firmware have you flashed ? The version is 2.3.1 (model number A70HT3). This is what it states when I look at the details under the device settings. Also I’ve noticed its not possible to bring the notification bar up by dragging from the top of the screen. Unfortunately, this firmware (Morkamod) is not maintained anymore by it’s author. Thanks, its done the job. One further question, do you know if its possible to enable password protection on the lock screen for this firmware? I can’t find a setting for this and I’m not sure if this issue has been dealt with elsewhere. 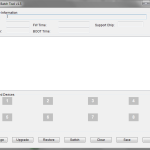 Root access isn’t needed, Rockchip flasher is a low level tool that works before the OS starts. Can someone help me please? I put my Arnova 10b g3 into recovery mode and when the thing showed up it didn’t ask me about any file… what should i do now? DESPERATELY WANT TO INSTALL MORKAMOD BUT AM SCARED OF BREAKING MY TABLET! Any easier way to install???? What’s the difference between the « upgrade » & « restore » feature in the RBT? ok… not having fun here… after I put my 10g2 tablet into recovery mode… the square does not turn green, it stays pink/red and does not ask me for a driver… I followed the procedure for setting the system correctly… I have done everything and followed all the troubleshooting guide as much as I can… any assistance would be appreciated… thank you! what about USB-debugging, must it be on or off? can’t get my 10G2 in recovery either. i’m pressing reset then vol up together for 20 seconds. after looking for 2h on the internet i found it. press and hold vol+, then press and hold reset too. release reset, then release vol+. As firmwares installed ext4 extension? what are the instructions to install the firmware extension ext4? what are the instructions to put the ARNOVA 8G2 Gb in recovery mode? I have the arnova 10 g2 and after successfully flashing this firmware, the tablet began to reset. The android symbol came on the screen for about a minute, then it went black. The tablet will no longer go into recovery mode. When it is connected to the computer it will be recognized only while the reset button is held down, as soon as I let go it disconnects. There is no way to make the tablet even try to boot. No matter what I try nothing has appeared on the screen since the android logo for about a minute after the reset. how do I get my 9G2 into recovery mode? Reset and M hardware button. Finaly I ve managed to install ICS. however there is problem with SD card in explorer.It doesnt read SD card. I have the Arnova 8 2g and was wondering if anyone knows how to get into the recovery menu? I have tried the reset button with the + sign and nothing happens. i have aslo had a look on Arnovas website and there are no instructions for the going into recovery mode with the 8 2g. I have tried to use this method but when the device appears in the box, the box colour is blue and not green, anyone know why this is and how it can be fixed? It should be green, make sure you are pushing the reset pinhole then Volume up while keeping the pressure on reset. The square should turn green within a a second or two. It keeps being blue. What does that state mean? I get an Download IDB fail when trying to restore. I tried this steps very carefully but I can´t make my arnova 10 G2 enter recovery mode. Any help? Really nothing happens wen I push the volume+ and the reset button. Does the tablet screen gets black when pushing reset+(vol+) ? Followed every step, though once I install the custom firmware, my arnova attempts to reboot, momentarily showing ARNOVA, afterwards it shows several chopped white lines. I have a similar issue to Az – the driver update fails, with an error saying it wasnt designed for this platform. OS is windows 7 64-bit. Is the an official location for the drivers? This worked for me. Thanks a lot! And a savior is born. OMG Becky…I’ve been trying for two weeks to upgrade my 10 g2 to this firmware and nothing. Until now. I really don’t know how many times I have to say it…THANK YOU!Follow the directions and it will work. All other sites are very vague. Very nice job my friend…CUDOS!! !NAND flash=2.57GB.Internal storage=458MB. how do you update this software or even get the tablet into the mode where you can install the rockchip info. I have followed this exactly, device managed recognises the RK29 device but the tool doesnt have a green marker, seems to not be picking up the device. Ive tried this in a XP virtual machine (with next to no luck at all) and managed to dig out an old laptop and put XP (service pack 3) on it, and still no luck. Is there something im missing or could it be the tool? This is the 2nd tablet from Arnova and both have had the same problem, the first had to be sent off and Arnova sent me back a brand new one with an upgrade (from 4gb to 8gb).